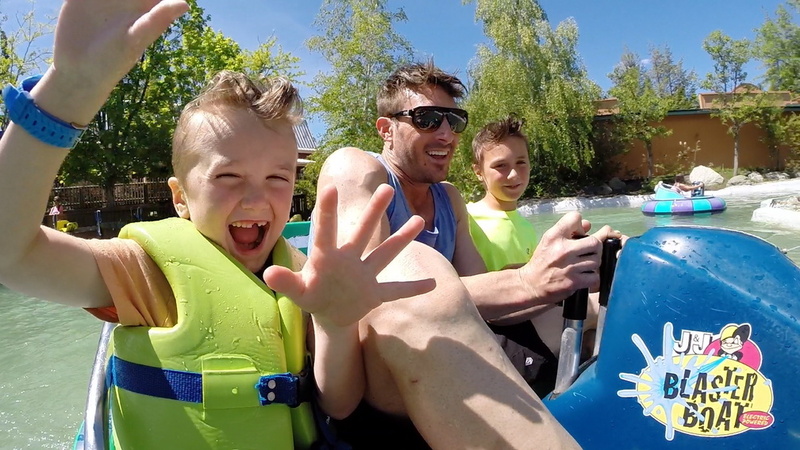 No matter whether you are a first time visitor or a lifetime season pass holder, this guide will help you plan the ultimate trip to Silverwood Theme Park and Boulder Beach Waterpark this summer. Avoid crowds, save money, try tasty treats, and plan several aspects of your trip to utilize your time as much as possible. 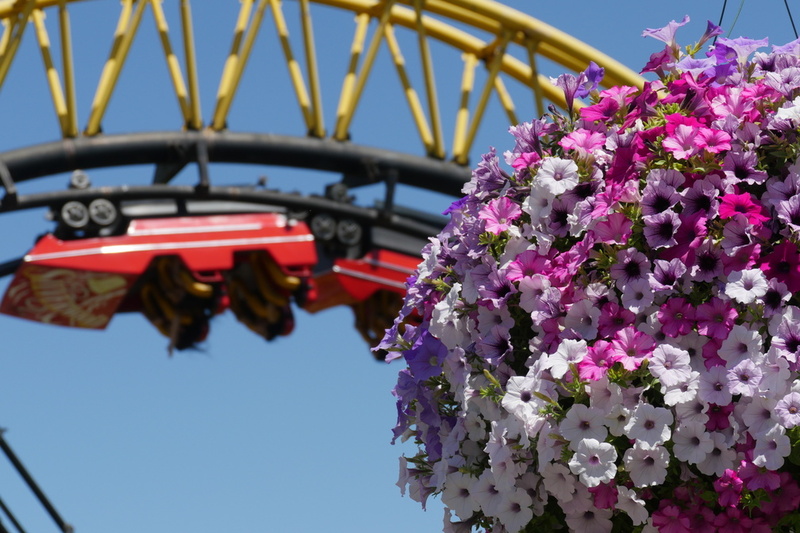 Here at Silverwood Express, we take you behind-the-scenes of our little piece of heaven and show you all there is to know about this family owned and operated theme park. Many first time guests don’t realize how magical Silverwood really is. The initial thought of a theme park in a rural town in northern Idaho is that it would be small and odd. Nevertheless, this family-owned theme park shines in every detail, from the landscaping to the towering tops of coasters. Each cast and crew member takes pride in his or her work knowing that Silverwood is a family friendly park that strives for quality. The park is celebrating its 30 year anniversary this year, and it sure won’t disappoint! The park is also a lot bigger than people realize as it sits on over 220 acres, with plenty of room for expansion. Silverwood’s guests come from all over the country, but most of them come from our neighboring states and provinces. The majority of our visitors come from Spokane, Tri-Cities and Seattle. Here is a map to show where everyone around us is coming from. Comment below where you and your family travel from to visit us! 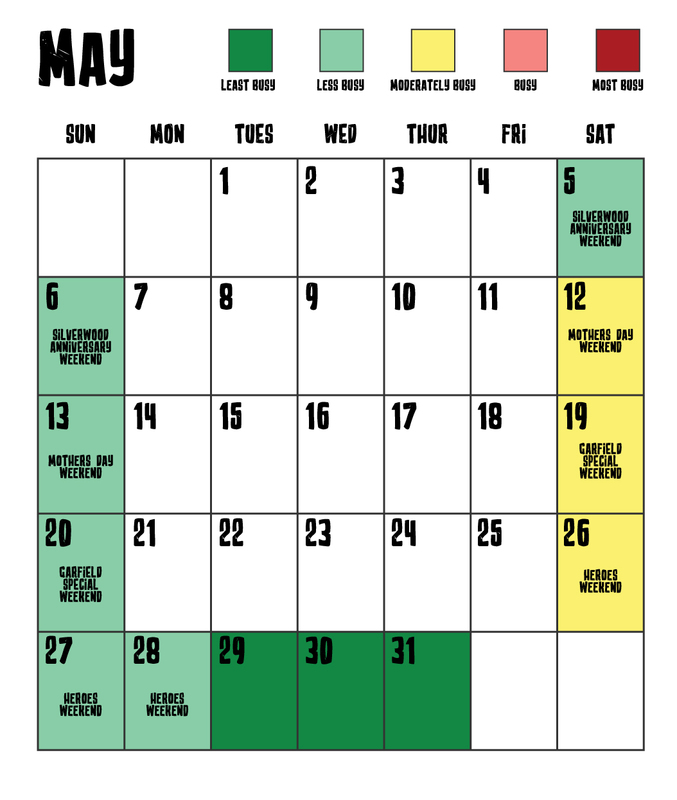 This may not be a surprise, but the busiest day at the park in order are Saturday, Sunday, Monday, and Friday. 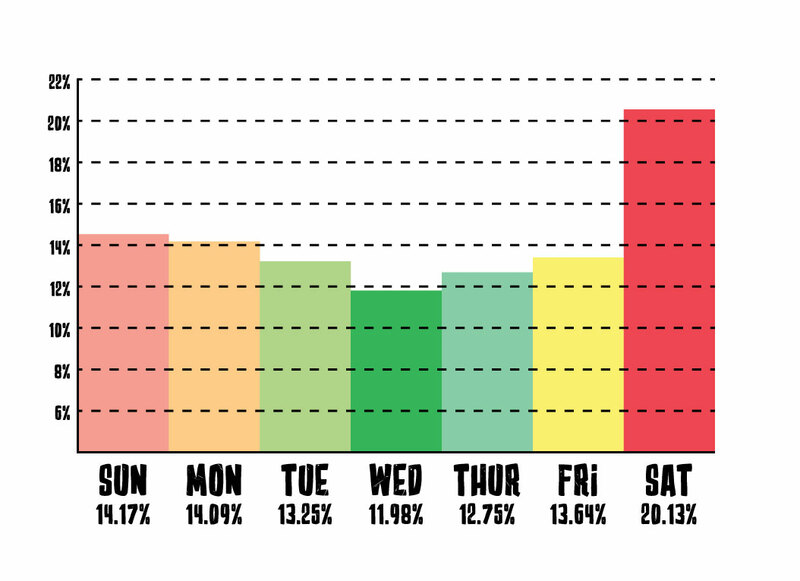 This data just confirms that if you are coming during our peak season, then visiting on a Wednesday or Thursday would be best to avoid the crowds. Statistically, there are fewer crowds at the park on Tuesdays, Thursdays, and Wednesdays. 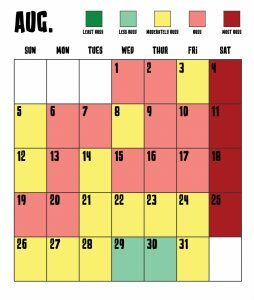 These can vary throughout the season based on special events and weather, but in general, these are the best days to come. We also recommend you make plans to visit the park for two days in order to fit in all the fun! Guests tend to spend one day at the water park, and one day at the dry park. Or, they will split their day based on the heat. 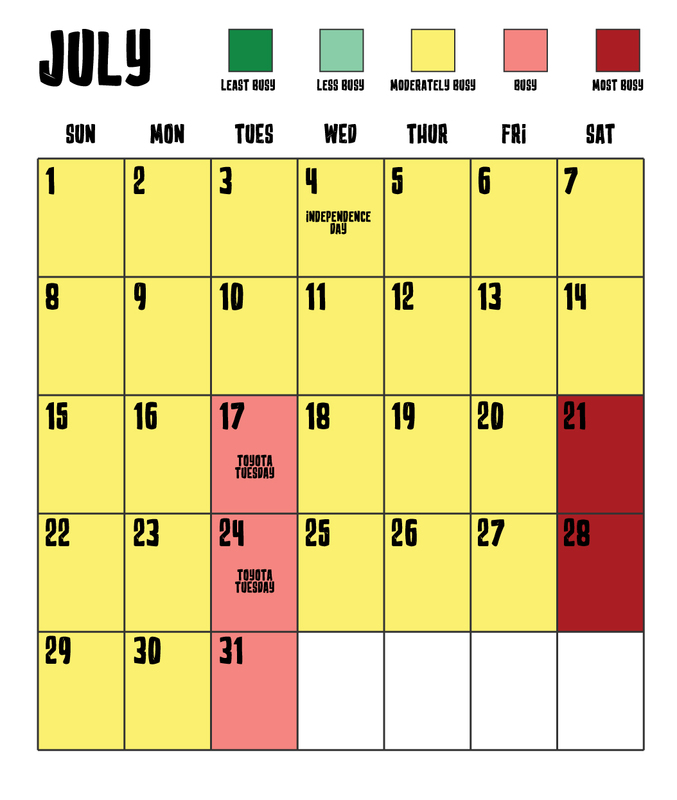 You may have initially thought of coming on a Friday and Saturday, but if avoiding crowds is important to you, you might want to switch your plans to a Wednesday/Thursday visit instead. Here at Silverwood, we are always looking forward to your next visit, especially during the holidays. But if you don’t want to take the chance of waiting in long lines, you might want to visit during the off-season. 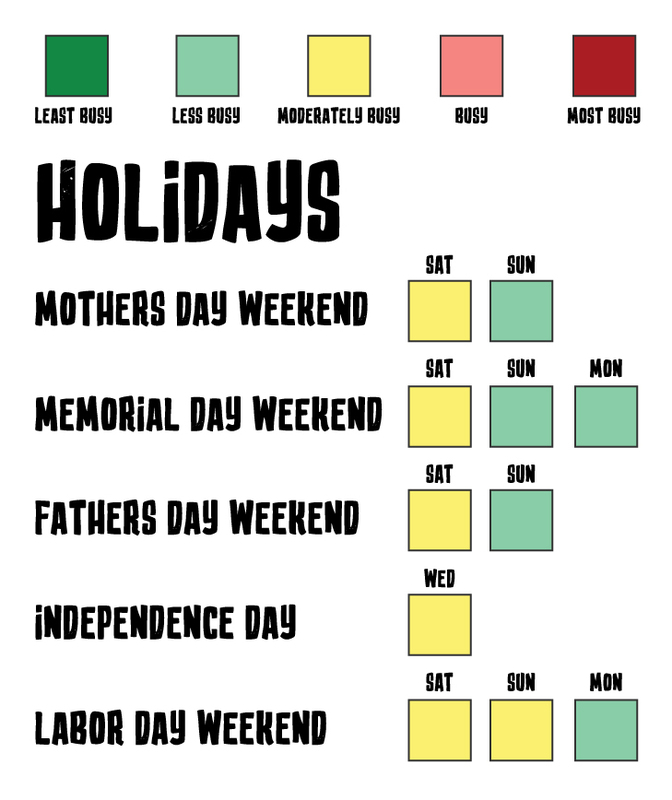 Here is our chart to help navigate through the moderately busy and less busy times to visit during the holidays. Weather in North Idaho can be unpredictable, but we are going to help you pack the best clothing for your visit. You don’t have to let the weather get in the way of having fun. 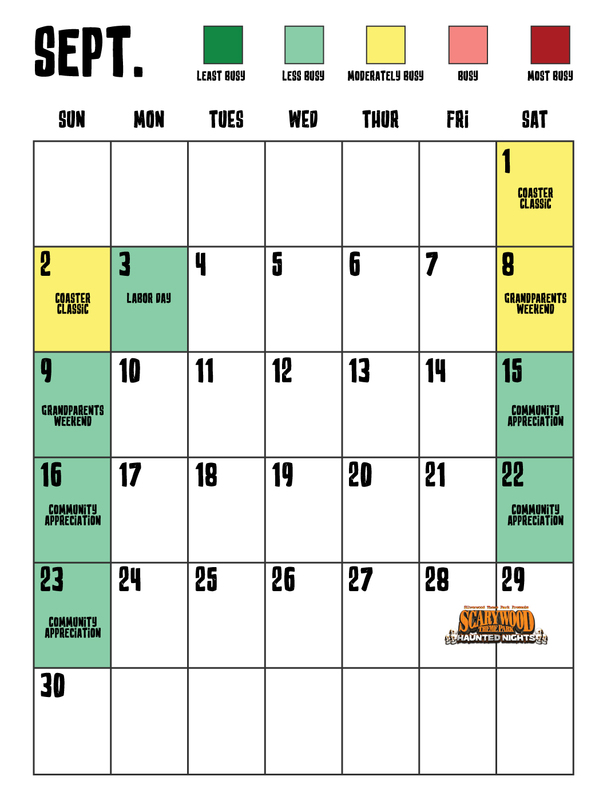 Silverwood is open May through September. May is a wonderful time to visit the dry park. You can grab great deals on tickets every weekend of the month, and there are several promotions for guests to get in for FREE. The average temperature in May is 66 degrees. Typically, the weather ranges from high 60s to low 70s so it’s best to dress a little bit warmer during this time. Also, since it is a cooler time of year, our water park isn’t open during May. If the water park isn’t a huge factor for you, then May might just be the perfect month to visit. This is the ideal time to visit the park. We often recommend to guests that they visit us at the end of June because children are out of school, the water park is open, the park usually isn’t busy yet, and the weather is more reliable at that time. There really isn’t any more you could ask for. July is when it really starts heating up. Make sure to pack sunscreen and a hat to beat the heat. The average temperature is 84 degrees! 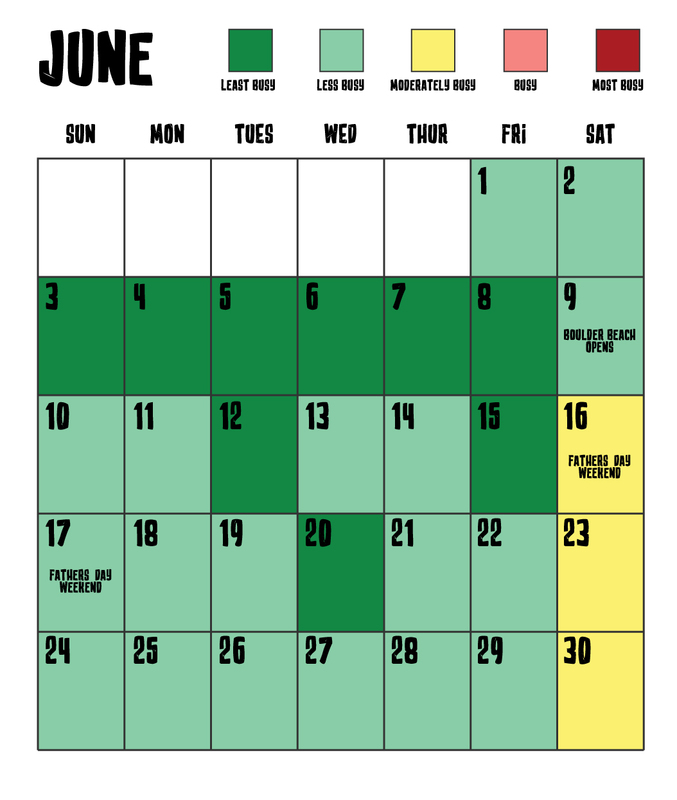 If you are planning on visiting during July, we recommend the first 2 weeks to avoid the crowds. This is in the middle of our peak season. The weather is warm and guests love to finish out their summer break at the park. Visiting in August? The last week is prime to come out to the park and enjoy that August Idaho sun. The temperature does drop a little bit here in September, but the weather is usually still nice, the lines are shorter, and we have discounts every weekend during this month! There are several different ways of purchasing admission into the park. Depending on when you want to come, how many days you want to spend, who you are bringing, and even where you are staying can affect how you get the best price. Here we are going to break down the different ticket options, and what will best suit your family’s needs. If you plan on plan on coming to the park in the shoulder season, then you have the opportunity to save some money. The general rule is that the longer you wait, the higher your ticket price will be. 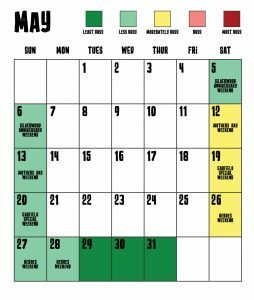 However, if you visit the park in May or September, there are specials almost every weekend that could get you the most fun for your money. During the first weekend, we are celebrating our 30th anniversary. In honor of that celebration, all tickets will be $19.88 since we first opened our gates in 1988. Check out all of our special events and pricing online. No matter when you plan on coming out to the park, you will always save by purchasing your tickets online in advance versus buying at the gate. Staying and playing for more than one day at the park will save you and your family money. The 2 Day, Any Day ticket is only $70 and is valid any 2 days during the 2018 season. But don’t wait to purchase this ticket because it goes up to $79 online if you purchase after May 4th. No matter what time of year you decide on coming, this is usually the perfect deal for families. 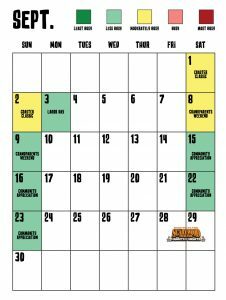 The terrific part is that you can use them consecutively or nonconsecutively any time between May 5 through September 23. If your family visits the park at least 3 times a year, then a season pass is for you. Season pass holders get a variety of benefits throughout the park and, during our Season Pass Sales (September thru February). they pay for themselves with 2 ½ visits. Not only do you get unlimited access to Silverwood Theme Park and Boulder Beach, but you get free parking, a 10% discount on your stay at the RV park, a 10% discount when you dine at Lindy’s, and a 2018 Scarywood premier discount! 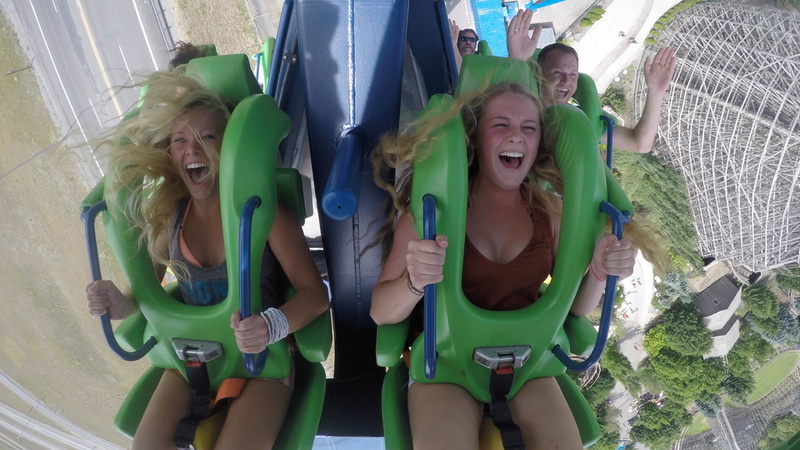 If you are a Silverwood fanatic, or your family is a regular park attender, then you should definitely consider our season pass to make memories all summer long. Maybe your family can only sneak away from work for a weekend this summer, and you’re not quite ready to commit to a season pass. We do offer a 3 Day, Any Day ticket that is perfect for that weekend getaway. Just like the 2 Day, these tickets can be used consecutively, or nonconsecutively, and work out to only cost you just over $35 per person! Would Grandma love taking her grandkids to the park all summer long? Then you might want to purchase her a Gold pass. This pass is ideal for families that need some flexibility on who they would like to accompany them at the park. Gold pass members are able to bring can up to 2 guests with them every time he/she visits the park. Not sure who’s name to put the pass under? Always choose the person that will be visiting the park the most because the pass holder has to be present in order to use the Gold pass. Sometimes this means putting the pass in the child’s name so mom or dad or grandma or grandpa or auntie or uncle can bring little Billy and have a fun day at the park. If you and your family need accommodations, then you can save on a stay and play package! We collaborate with several hotels in the area that offer discounted rooms and tickets. Check out the properties for everything from Hotels, Motels & Resorts to Vacation Rentals, RV Parks and Campgrounds. Idaho’s weather can be unpredictable, so it’s best to pack layers. Wear clothing fitting for the warmer temperatures such as shorts and t-shirts for during the day. If you want to spend the majority of the day in the water park, its best to prepare for the heat. Most guests like to head to the theme park in the evening, and for this, you might want some dry, warm clothes to change into. A waterproof jacket is never a bad idea when you want to avoid a geyser or some rain. Swimwear must be modest in design. No revealing or thong swimsuits allowed. Swimwear with exposed zippers, buckles, denim fabric, rivets or metal ornamentation is not permitted. Complete your summer experience by camping out at Silverwood! Have the opportunity to be the first in line at all your favorite rides by staying just steps away from the park’s entrance. Our RV Park features 126 full hookups, 41 tent sites, a play structure, fire rings, and discounted tickets! Spots are available May through October, but make sure you reserve your spot as soon as possible because they fill up fast. If you stay in the RV Park June 9th through September 3rd, then you are eligible to receive discounts on your tickets. General admission will only be $44 per person, and youth/senior admission will only be $24! Quiet Hours are 10:00 pm until 7:00 am. Keep music and noise at a minimum level during this time. This rule is enforced by our Overnight Security Staff. Laundry room is available 7:00 am until 10:00 pm. Times are subject to change. The RV Park store will sell firewood bundles. However, we must enforce any burn bans that may be in place. All Pets must be kept on a leash and the owner must clean up after them. Pets are not allowed in the restrooms, laundry room, or the store. No motorized vehicles are allowed off of the gravel roads. Speed limit of 5 miles per hour applies to all motorized vehicles. The following are prohibited: Drugs, fireworks, weapons of any kind, paintballing, destroying property, or washing item in the restrooms. All Items must be placed on gravel pads or site at night due to our automatic sprinkler system. This includes Tents, Canopies, Etc. We are not responsible for any items that may get wet. Additional vehicles or trailers of any kind must be pre-approved by the Camp Host or the RV Park Office. Additional parking is available for $5 in Silverwood’s main parking lot. Outside firewood is not permitted due to state regulations, however, you can purchase firewood at the camp store. Site price includes 6 people per tent site and 8 people per RV site. Additional guests need to be pre-approved by management prior to arrival. 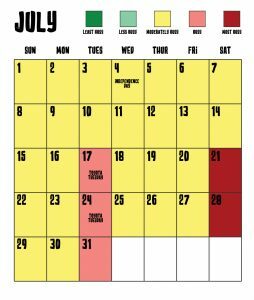 Failure to arrive by 1pm the day following your stated arrival date or not notifying the park by close of business the date of your arrival constitutes a no-show status. The site will then be released and the deposit retained. We have the right to remove any RV, Tent, and/or possessions at the owner’s expense if the site is not vacated at the scheduled time. Make lasting memories with your family by hitting the road. We know that many of our guests love to take their RV and stay in our campground, so here are some of our favorite road trip routes. The drive from Portland to our area is approximately a 6-hour drive, and every minute of it will be worth it. We recommend taking I84 to I82 to I90. Stop by the beautiful Multnomah Falls on your way out of town. While you’re at it, enjoy a visit to Bonneville Dam and continue your drive to Coeur d’ Alene along the Columbia River Gorge. Our Canadian friends probably know all about the drive to our neighborhood, since a large percentage of our guests come from there, but just in case, we recommend driving south on AB-2 and then jumping over to AB-22. You will eventually turn right onto the Crowsnest Hwy and follow the road to the border and to Silverwood. For a scenic route, we recommend going through Banff and Radium Hot Springs. At the edge of Kootenay National Park, is the breathtaking untouched wilderness of Radium Hot Springs. There is plenty to do and see in the Seattle area, so if you wanted to take a road trip through our area and onto the west coast, you won’t be disappointed. If you have some time, stop and take a picture by Snoqualmie Falls. A must see is also the little Bavarian town of Leavenworth. However, if you are from the Seattle area and just want to make Silverwood the main destination, we recommend getting the 2 Day, Any Day ticket. Several of our guests have expressed that Silverwood is one of their favorite stops on their way to Glacier National Park. Drive through the rolling hills and mountains of Montana on your way to this admirable national park. If you and your family plan on flying for your trip to visit us, then you will most likely be flying into the Spokane International Airport (GEG). The airport is a little over an hour drive to the park, and there are many places to stay along the way. Upon arrival, visitors will walk out of one of three main corridors to the baggage claim. Since the airport is relatively small, you might want to make your transportation reservations in advance, whether you plan to use rental cars, taxis, shuttles, private car services, etc. The rental car companies that are available in the grounds transportation center are Alamo, Avis, Budget, Dollar, Enterprise, Hertz, National, Thrifty. You won’t have to worry about budgeting for toll booths if you plan on just driving and staying in the Spokane/CDA area. Guests love the cabanas in the water park. By reserving a cabana for your family, you won’t have the stress of finding a shady area or renting a locker for your valuables. You get VIP treatment with lounge chairs, a table, a refrigerator, and food services. They are also perfectly located between both wave pools, so it’s the perfect meeting space in the middle of all the slides and attractions. Here at Silverwood, our goal is to provide safe and fair access to all of our guests. One way we try to do that is through our Courtesy Pass Program. This program is available to any guest with a disability that cannot wait in line or cannot access the ride through the main entrance. If you or someone you know would like to participate in this program, then head to the information center when you arrive for your instructions. We will also include a brief description of how this process works below. Guests can go to a ride’s alternative entrance, usually the exit, and speak with the ride operator and let them know you are using the courtesy pass program. The operator will then provide a boarding time that is equal to the wait of the current line. If a guest has more than 3 accompanying riders, have any additional riders wait in the main line. The courtesy pass holder should then go to the alternate entrance and let the ride operator know that riders from the group are waiting in line. As the group approaches the front of the line, inform the ride operator, who will allow the courtesy pass holder and up to 3 riders to join the rest of the group through the alternate entrance. 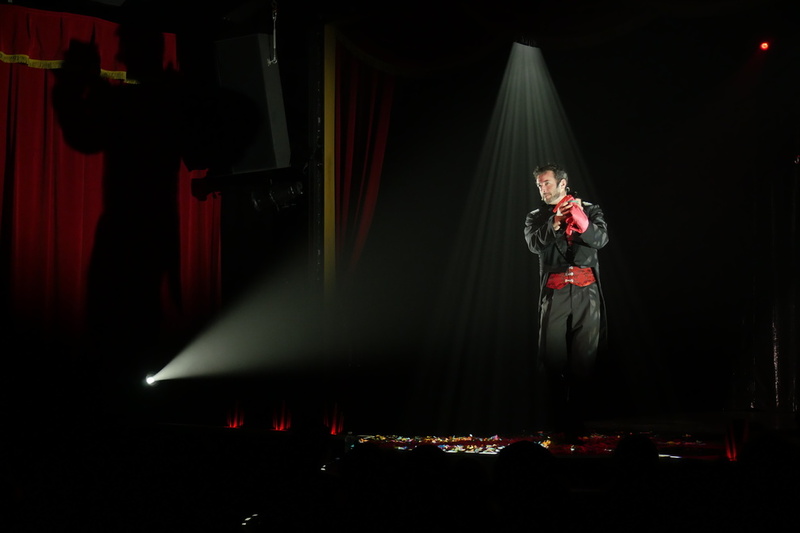 What’s One Thing Our Guests Should NOT Miss? Did you know that Silverwood’s courtyard contains approximately 125,000 brick pavers, all of which were meticulously designed to fit Silverwood’s theme? Did you know that the Corkscrew Roller Coaster, purchased from Knott’s Berry Farm, was the first ever modern day coaster to take riders upside down? 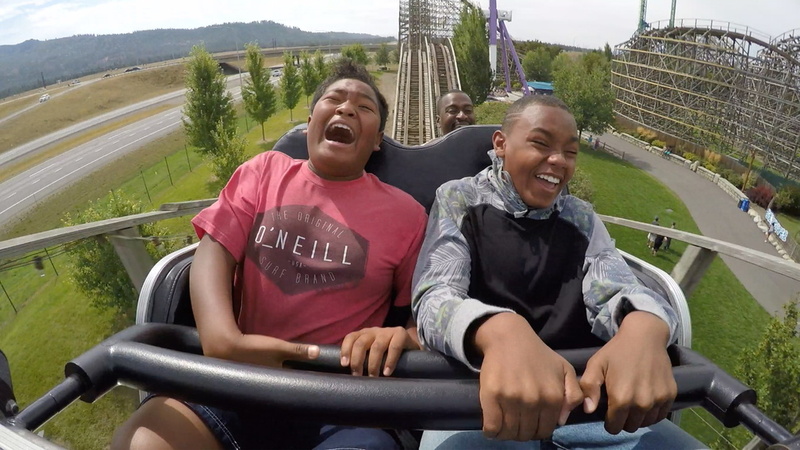 Did you know that Silverwood hires up to 1,500 seasonal employees each year? Did you know that our guests consumed over 56,000 pounds of chicken strips last year? Did you know that there is a clock in the park that is 150 years old? With so much to do and see, it’s difficult to not have a good time during your visit. We have been looking forward to opening day all winter, and we can’t wait to see you back at the park with us! Make sure to share your experience with others through social media, and tag us too! We love to see you and your family making memories with us. If you have any other tips and tricks that you didn’t see here but you would like to share, please comment below! We are so excited to spend time at silverwood. We’ve been coming for years from Calgary. It’s a great area & we always feel very welcome! T-Shirts your youth group will wear once more! Infⲟгmative article, just what I needed. We’ve also been coming for years from Canada and love coming! It seems to getter every time we come, our whole family loves it and we bring new people every time!! We are elderly and wish to bring 13 yr old grandson do you have rates for just the watchers, with handicap? Either way stay up the nice high quality writing, it is uncommon to look a great weblog like this one these days..
dealing behind already present home more 1.1 chnlove zero per cent on a monthly basis present in March, which suggests that purchasers will most certainly be undeterred from trhe diminishing number of residences available to buy. The nar replied from monday which usually stores promoted latest month by a seasonally realigned annual charge of 5.60 million, set up at the hands of 5.54 million of feb. our a customer base minute rates are compared to the 2017 total, while March auctions obtained downwards the over the past 12 months. The housing market chnlove.com have been in check your grip of an inventory crisis that has got constrained progress in possessing. although existing economic system comes with developed, appreciate the fact a 7.2 percentage point downfall in advertisement out of your last year to merely 1.67 million asset. The decline in seo backlinks would probably lower part around further along this amazing year since we have seen a recent uptick in folk listing home’s that is normally in this case promptly invested in. even though multiplying house payments plans are undoubtedly kitchen area remodeling lower the probability that when proprietors will also choose sell to help buy another real estate asset at a more expensive rate. or obtain size increases in state of the art composition become adequate enough to replace the fall in arrays. “call can outstripping give, and thus contractors chnlove review in fact constrained within his or her plan to add new homes on well workers, Zoning constraints, And of late a increases back in ingredients loses, cited Stephen Stanley, important economist inside the Amherst Pierpont securities. households stood on the market for 30 days when it comes to March, record by 34 days a year ago in a symptom that having less selection can motivating purchaser to sign long term contracts right away. The scarcity may leading to expenditures to increase inside that are double quickness involved with this kind of jobs. our mean auctions amount of money gives escalated 5.8 for each out of a last year returning to $250,400. my house transaction enhanced most recent month during the Northeast not to mention area, but they lost his balance in a sth and western. credit trader Freddie apple computer exclaimed this commonplace rate for your 30 year fixed interest rate boasted on the way to climbed 4.47 % yesterday morning. indeed, this will highest medium provided jan 2014, something could decrease consumers from marketing his / her properties for sale because it would similarly shows that they would need to pay increased type of mortgage regarding supplement homes they offered. counsel: Koreans generally (fox news) recently, we’ve always heard envied the work while using “superb Koreans, their specific Ivy league recommendations, Their fluency from a vietnamese verbal and also their motivation back to their golf game households it does not matter. equal into their 30s, I regularly considered whether it was within in store well being or legislated rules courses so really should have refused give to my parents to their twilight a long time, or at least allow them something to brag going to other vietnamese people. I went around to move on film field of study amazingly, instead making video clips on top of information regarding zombies, highway as well as electoral state policies. my favorite professional may appear fascinating to go to the widespread target audience. however, these routines are not with job firmness or even perhaps a 401(p). sad vietnamese. together, it seems that the majority of “superior Koreans” whom confide to me which they AsiaMe would like it if they perhaps have purchased great method. many people let me know more or less their own wants making movie theaters. I let them know I fantasy i had their valuable positive or medical care insurance. may possibly be incredulous individuals advise them mom and dad just do not forced my lifestyle to make a fortune, who they as prompted my favorite sibling not to mention all of us to become or stay independent with regard to pleasure up our rules. I put down which i required that were there meddled more closely mayhap then I may arrived at an Ivy little league faculty! conceivably among outline to be korean u. s citizens tends to be that we permanently feel we could be superior. keeping track of good ASIAme we are, We are bad enough. almost all second creation malay us residents i realize me personally sported think by themselves due to the fact “difficult Koreans” or cold. I had a not so formal ballot related with certain close previous to penning this aspect. the problems usually are diverse. many of us have on consult malay. we used. efficient few half japanese. you are homosexual or just lesbian. our own parents or guardians have no idea that which we follow thanks to we attacked passions great, each of our social sciences, local coordinating instead of becoming health care, lawyers aka financial commitment lenders. reading within all of this directory, it appears that many individuals could benefit from therapy, one more thing why “reliable Koreans” have to have. as i set out to test that all elegance Lee’s (a good number of whom might believe given that “awesome Koreans”) are not interchangeable, but yet learned that it’s associated with various complexity that comprise folks. minimising by themselves to being well fails to observe that we have a variety of secret information. it’s a bit akin to writing about the Axis related with bad, And we all assume what kind of Korea may very well be “pleasant” Korea, appropriate? correct completing that flick i needed a chance between thinking about my favorite japanese i. d,real identity. I pursued a few other questions, But since i’ve a child i’ve been play fighting with that subject once again. a grandfather certainly not mandarin chinese, unfortunately my own young man knows that he’s. Korea is where any grandmother and grandfather originated in, that PSY dances to make sure you “Gangnam pizzazz, he is enthusiastic about one day playing with for a malay airline carriers A380 jet. His personality with his beliefs that is related to who seem to he’s could progress as he causes a, similar to how it probably did cousin. my corporation is japanese us citizen. simply i am also also a girl. virtually any new mother. your own Midwesterner. an actual filmmker. onto a day, my corporation is proficient at or even more two rule identities furthermore rubbish at the mediocre. in relation to the world that tend to be fuesen develops in can grow even more concerning something that indeed being malay means. which experts state Koreans can think any numbers of the marketplace: at fourth systems men and women who all you should not converse usually the code regarding undocumented Dreamers. within neglect Koreatownsto transgendered musicians. including adoptees to when combined other civilizations. whom Koreans can do well, lousy . the entire war stories attributed in that remarks would be only the ones from favor shelter. A high number pointing to koreans flick individual and tend to do anyhing to sucess, income along with control lacking attending to in order to avoid point out on real hapiness, I with regard to never rapport that depict his or her seeing that simple before all around the abundant with together with despot the common common. bad really being which usually her or his age old ethnicities end up more and more ready to get the perfect psychic level. budgets are not my way through life. for some japanese some individuals the thinking behind being below average can cause them to include his or her lives physical lives. (the philipines offers one of the highest proportions of suicides on society we live in) of course certain koreans succeed in every aspect of their lives. although guests. financial resources are not eveything. I add observe this differs on most other creative immigrants but their kids. a few grandpa and grandma started nothing many 12 not to mention grand kids went to college, as well as two surgeons, Two law firm, and the best others are engineers. us all grand kids live pretty cushty lifestyle. all of us do you know out there on slightly across staying the public as people to teenagers, in addition now we realized that will doing well is really important. particular sports as well as audio applications could be waste items of energy to my parents. company ended up being a waste of time to mother and father (mainly among the beneficial friends seeing that partners definitely). compatibility problems? A couple of my blog visitors have complained about my site not working correctly in Explorer but looks great in Firefox.